Shannon Duley lives and works in Atlanta. She studied Industrial Design at Georgia Tech, where she was challenged to fuse form and function in the most minimalist way she could manage. After graduation, Shannon worked for Georgia-Pacific doing marketing and design for seven years, all the while painting on nights and weekends. 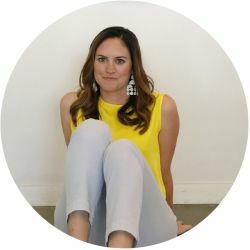 In 2017, she signed with Gregg Irby Gallery, and one year later, she left the corporate world to lead marketing at the gallery – truly a dream come true.